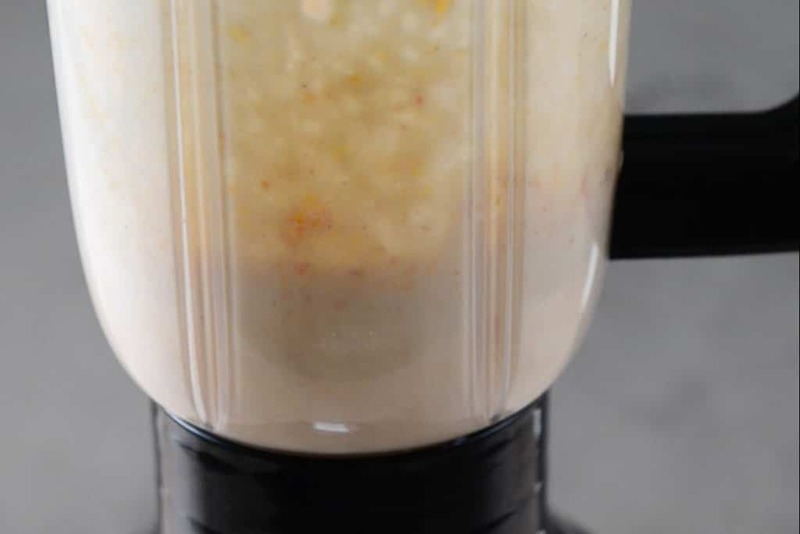 A sip of this delicious Healthy Peach Pie Smoothie is just the perfect concoction to make your day a whole lot better. 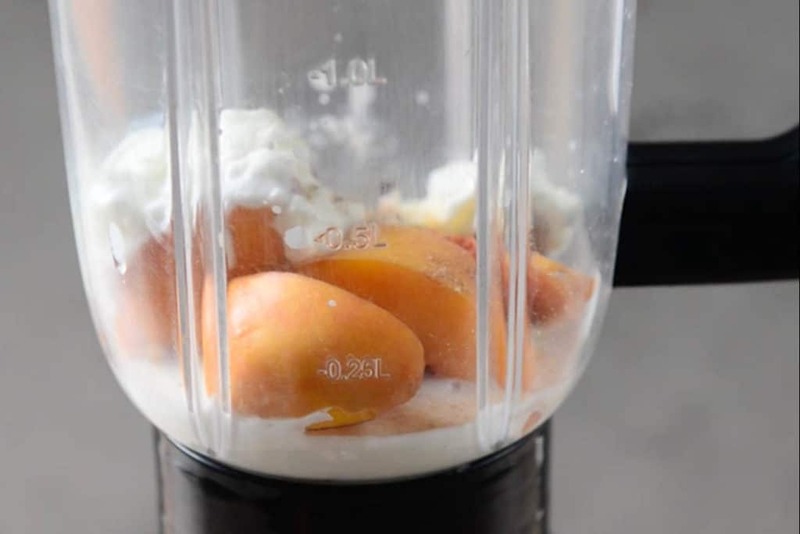 Here is a Step by Step and Video recipe to make Peach Pie Smoothie. This peach smoothie is healthy; at the same time it has all the elements that remind you of a decadent peach pie. 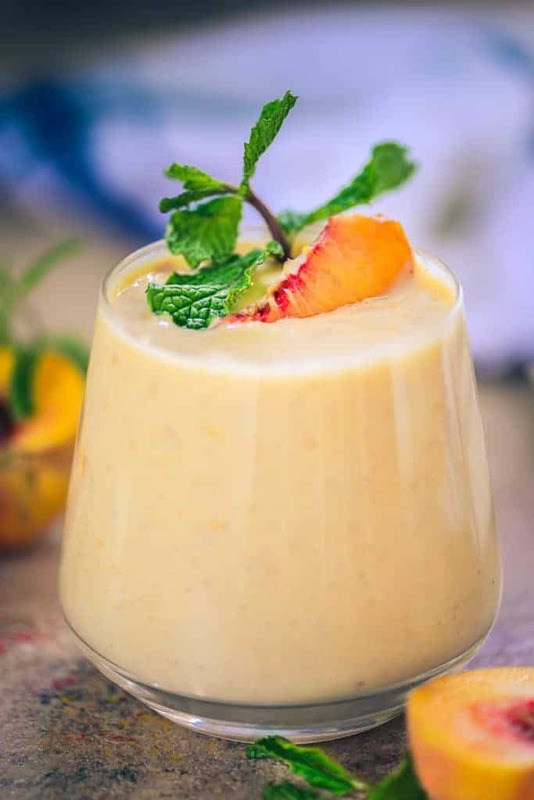 A tropical treat with the flavours of peaches, and spices, with the addition of milk and yoghurt to make a creamy and delicious smoothie that is going to be a treat to slurp down, especially on a hot summer afternoon or as a delightful evening snack. Smoothies are a great way of adding much needed nutrition to your diet, you could try a host of different smoothies so that you incorporate a variety of essential nutrients. Some of the smoothie recipes I’ve posted are: Mango Banana Smoothie, Mango Smoothie Bowl, Banana Mango Green Smoothie, Black Forest Smoothie, Peach Mango Smoothie, Peach Oat Smoothie Bowl, Pumpkin Pie Smoothie, and a refreshing Pear Ginger Green Smoothie. 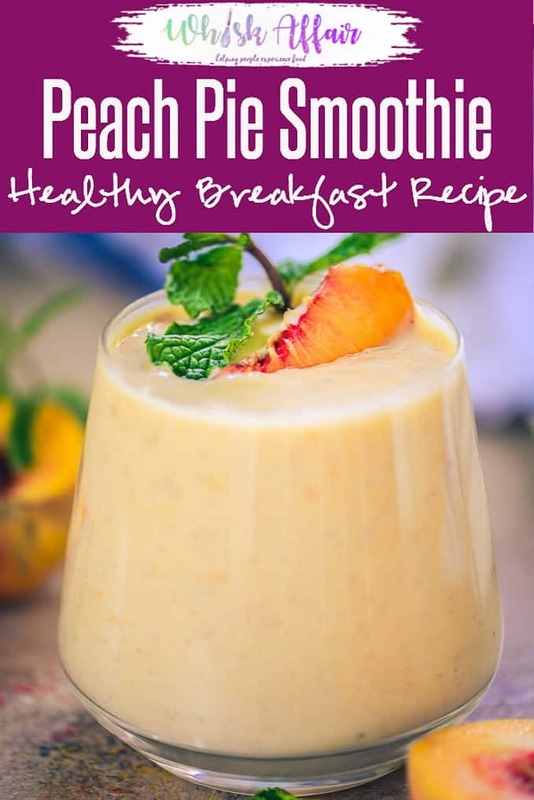 If you love peaches and if you’re looking at trying a smoothie with a twist, then this peach smoothie would be the perfect one to consider. It also makes for a great dessert drink that’s tasty, healthy and extremely filling at the same time. Kids are going to love the intricate mix of flavours in this smoothie too. So what are you waiting for, whip up this luscious smoothie and watch your friends and family slurp it away. This will undoubtedly be the most delicious version of pie that you can get your hands on. If you’re looking for a vegan friendly recipe, then you can simply substitute dairy with a nut or plant milk of your choice. 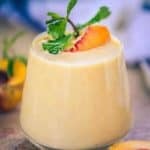 To make this decadent Healthy Peach Pie Smoothie, you can make use of fresh peaches if available or what would taste even better is to use sliced frozen peaches. All the ingredients like peaches, Greek yoghurt, milk, honey, vanilla, cinnamon, nutmeg and dry ginger powder are all added into a blender and mixed together well. With the flavours of spices like cinnamon, nutmeg and ginger, it also lends this smoothie a beautiful aroma and gives it a lovely spice kick on every sip. The smoothie is then transferred into serving glasses and served chilled. Instead of just adding peaches in your smoothie, you can also add mangoes and make Peach Mango Smoothie. Peach Banana Smoothie or Strawberry Peach Smoothie is also my fav. You can also experiment and try Peach Blueberry or Peach Pineapple combination too. Infact any fruit would pair well with peach so do not stop yourself from experimenting. To make it even more healthier, try adding greens like spinach and kale. Add a bit of ginger to give it a spicy kick. Peaches are high in beta-carotene and essential minerals like potassium, it is also high in Vitamin C.
They are low in calories and contains no saturated fats. Peaches are rich in anti oxidants too. Greek yogurt is an excellent source of calcium and other minerals and it also contains more proteins than regular yoghurt. 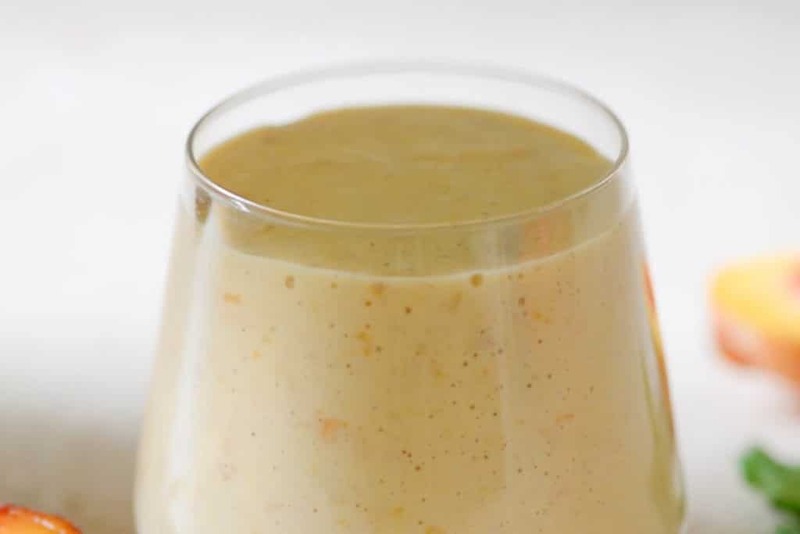 A sip of this delicious Healthy Peach Pie Smoothie is just the perfect concoction to make your day a whole lot better.